View More In Salt Substitutes. With 12 different varieties of Mrs. Dash® Seasoning Blends, we have you covered for any meal occasion! Just sprinkle on your favorite meals to add flavor without adding salt! Plus, they have no MSG, so you can enjoy guilt-free! Contains the following Mrs. 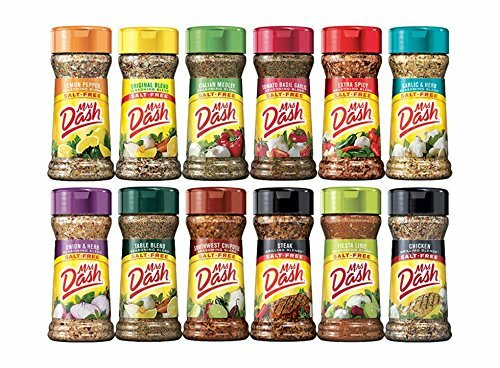 Dash Seasoning Blends: Chicken Grilling, Extra Spicy, Fiesta Lime, Garlic & Herb, Italian Medley, Lemon Pepper, Onion & Herb, Original Blend, Southwest Chipotle, Steak Grilling, Table Blend, and Tomato Basil Garlic. DAK's GRILL SET 3 PACK – Grill it the no-sodium way to your heart's content! 100% salt free and 100% MSG free seasoning that will make your barbecue come alive! Rub it, sprinkle it, coat it. TSM Insta Cure (Prague Powder) #1, 5 lbs.